Catch the camel train! A short thirty minute ride along beautiful Cable Beach, with the turquoise Indian Ocean as your stunning backdrop. 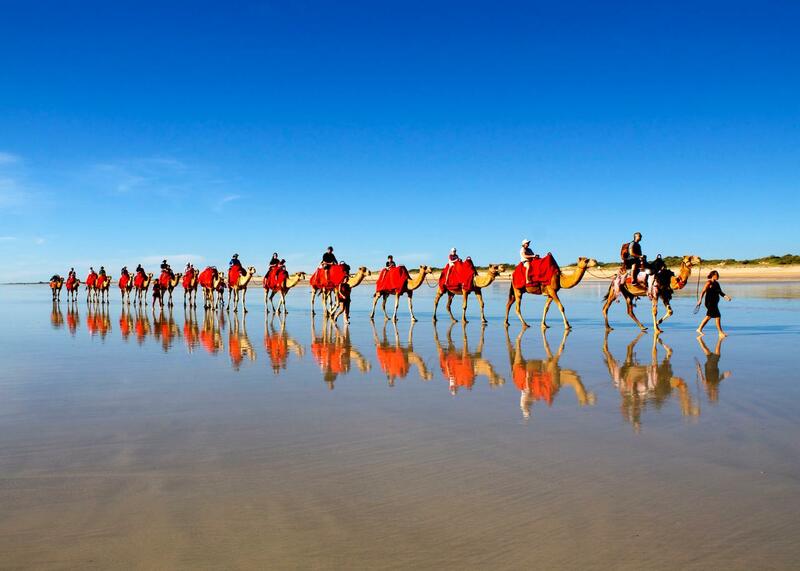 Perfect for families with young children, or those who simply want the experience of riding a camel along Cable Beach.